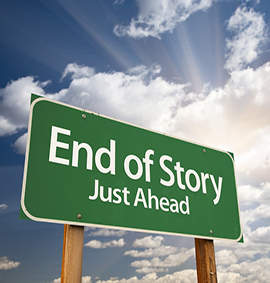 Producers ALL know that a movie’s ending is what creates buzz – that all important word of mouth marketing you can’t buy. And you, the writer, are 100% in control of that! So your ending has to be great if you want to have a great script. What Does a Great Ending Accomplish? For a producer reading your script, they’ll know that audiences will leave the theater demanding their friends see your movie. For a contest, a great ending causes your script to stand out from the sea of average endings. For readers and industry insiders, they’ll naturally want to tell everyone they know to read your script. And for you, it will give you more confidence because you know your ending is impressive! Writing a great ending isn’t even that hard – once you’ve learned the simple structure to it that blows readers away. Once you understand the model for writing great endings, you’ll see new possibilities for elevating all of your screenplays. Great endings make great scripts! Day 1: What Makes a Great Ending? Day 2: The Key Components of the 3rd Act. Day 3: Seven Endings that Knock Your Socks Off. Day 4: The Five Rules of a Great Ending and the Steps for Writing a Powerful Ending. Day 5: Paying Off Emotional Setups. Day 6: The Five Rules of a Great Ending and the Steps for Writing a Powerful Ending. Day 7: Final Pages with Impact. Day 8: Parting Words and Visuals. Day 9: Applying Great Endings to Your Script.